These lyrics greet millions of youngsters every day as they tune into Sesame Street to enjoy learning. I know when I hear this song, a smile brightens my face as I remember my favorite characters Grover, Ernie and Bert, Oscar the Grouch, The Count, Big Bird, Elmo and Cookie Monster (you should hear my Cookie Monster impression, ME WANT COOKIES!). Sesame Street reaches more than 190 million children in over 180 countries, and it's not only children watching the show; 75% of parents say they watch the show with their child. While the show is made in the United States, it is recorded in other languages and the show reflects the society of the language by creating local Muppets just for that TV market. It also has a YouTube channel, which has received over 1.2 billion views. 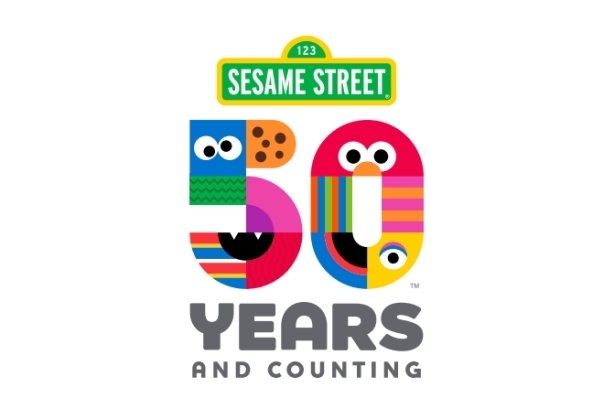 It's amazing that an educational show is going to celebrate 50 years in broadcasting. Their slogan states, "50 years and counting," which means it will still be going strong for the next generation of new viewers. It originally focused on getting preschoolers prepared for kindergarten with reading, writing and math. It has since evolved into teaching children how to be ready for life by adding a focus on being kind and including others. 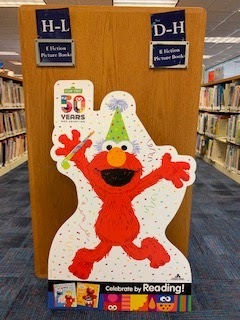 The library has its share of Sesame Street items. Check out the "S" section in picture books, easy readers and board books. You'll find lots of titles with "SES" on the spine. 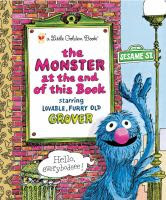 One of my all-time favorite books from childhood is The Monster at the end of this Book. It's a classic! If you have not read it, this is a MUST read for your family. Sesame Street also has produced many DVDs to help children learn early literacy and math skills; they also provide a great model of social emotional skills for young children. Great family viewing is ensured with these titles. 40 South Park Street (Roselle Public Library's address) to visit our patrons? I would totally be excited to see Super Grover at our library. We can only hope!